Christian Woods, a Grade 12 student, attended the Jordan's Principle Summit hosted by the Assembly of First Nations (https://www.afn.ca/jordans-principle-summit/) on September 12-13th. The national conference was an opportunity for First Nations people to share personal experiences, learn from practitioners and policy makers, and disseminate knowledge to ensure that Jordan's Principle meets the needs of all First Nations children and families, both now and in the future. This was a wonderful experience for Christian as he was a member of a presenting family and had the opportunity to speak at the conference. Well done, Christian! Looking for answers about private school? 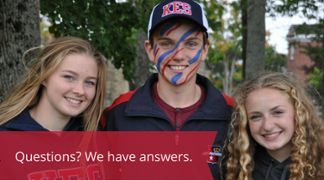 Download our latest ebook, Questions to Ask when considering private school. It’s full of helpful information as you consider our School.